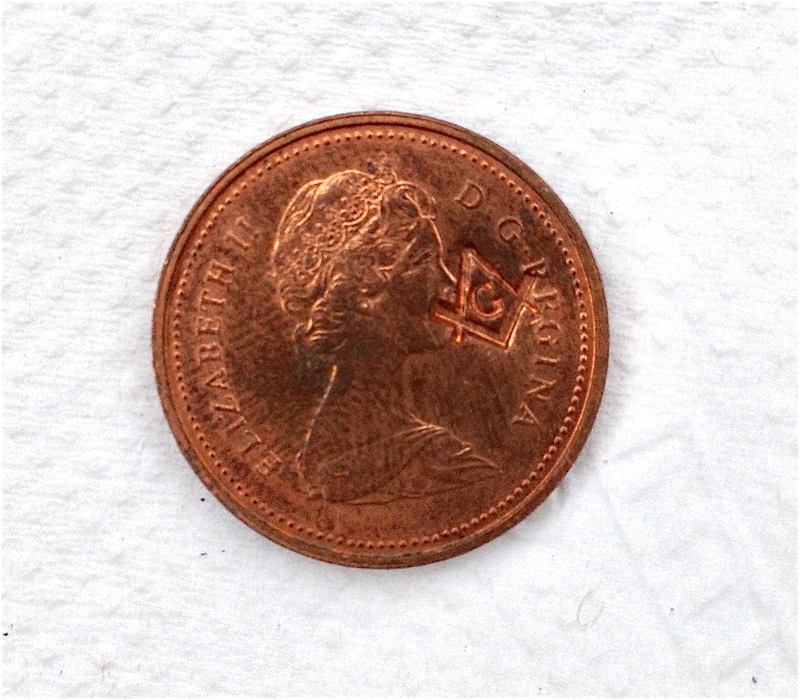 Found today in some change: a 1980 Canadian penny with a Mason’s “Square and Compasses” stamp on it, pictured to the right. What can it mean? Have I stumbled onto some bit of DaVinci Code arcana? Alas, my penny seems not to be all that rare–a dime a dozen really. According to one reply on Yahoo, “It’s pretty much just for fun and being noticed. Anyone can buy the tools to stamp this. It used to be that you’d stamp a penny of the year you were made a Mason but now people just stamp them for the heck of it- and I don’t know why they make them stand out like that.